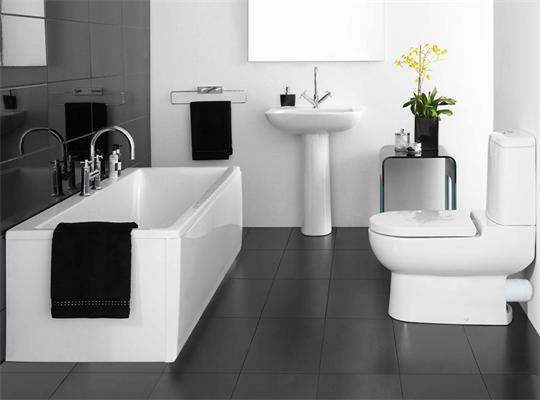 A full Bathroom Suite package will provide a single solution to the bathroom design you will want. As all the bathroom detailing and furniture will be of the same range, it will match up a lot better than replacing individual items as you go. It is also the most cost effective approach to a bathroom renovation. There are Suites for every budget and all styles are covered, including traditional, modern and shower suites. If funds are tight, just make sure it's white. Budget bathrooms are ideal for rentals or profit making ventures, and if renovating to sell, few viewers would spot an inexpensive bathroom suite as long as it is plain and white. 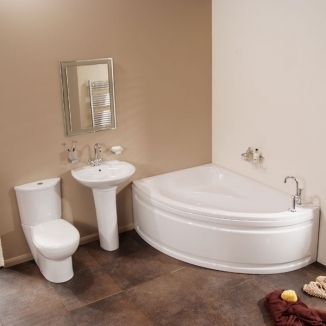 This £279 Zurich Bathroom Suite including, Toilet, Basin & Bath, is an incredible bargain. A great way of saving space in a medium sized bathroom. 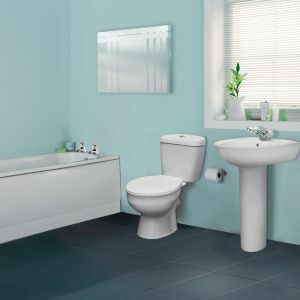 The Vienna Left or Right hand Corner Bathroom Suite, will allow for a feature to be made of a bathroom and can be used in awkward sized rooms. 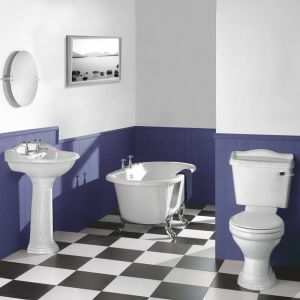 The Foxglove Toilet, Basin & Bath Suite is an example of the £450 to £650 range of modern and well made bathrooms that you will find fitted into newly built half a million pound houses. Many of the most well known builders will add modern bathrooms of this type. Modern looking but incredibly cheap to them. Not everyone wants a modern bathroom suite, although experts debate how long the fashion for traditional styled roll top baths in modern houses will continue. The Milano Canterbury Traditional Freestanding Bath Suite looks expensive, but again, is around the £500 mark.